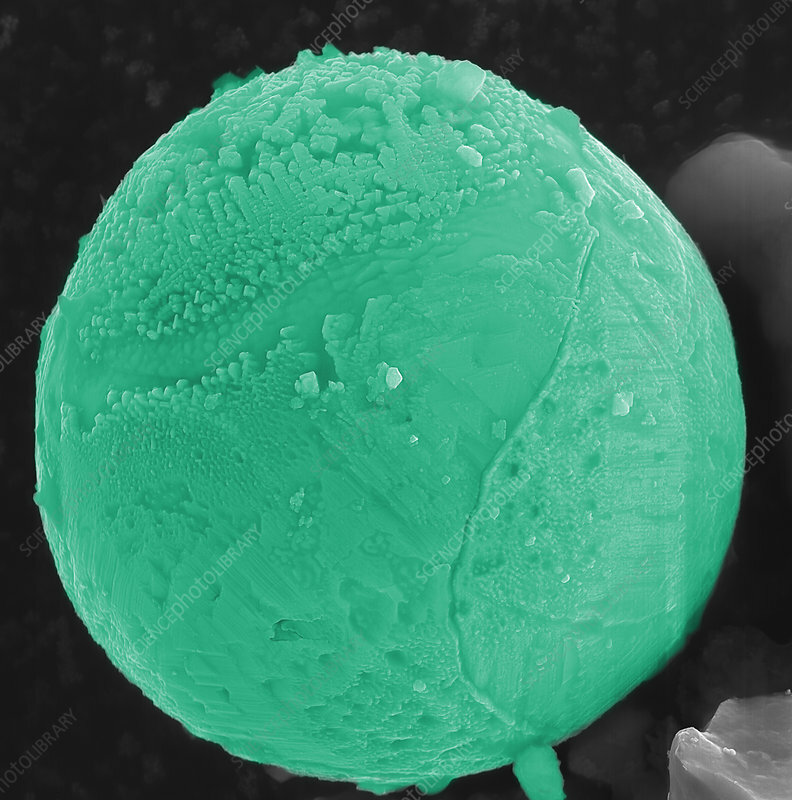 A Scanning electron microscope (SEM) image of a micrometeorite. The diameter of this meteorite is 23um. The diameter of this meteorite is about one third the width of a human hair. Micrometeorites routinely fall all over the surface of earth. This is primarily an iron meteorite with small amounts of other elements. This meteorite melted from atmospheric melting as it was captured in the earths atmosphere. The frictional heating melted the martial and surface tension of the molten metals brought it to a circular shape. Magnetic iron micrometeorites are easy to find with the help of a strong magnet. The crystal structure of the meteorite is visible in this image.